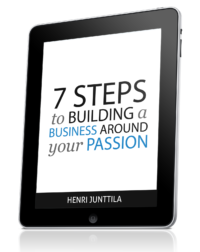 Writing your own ebook is a great way to build authority, and above all, a great way to help a lot of people. If it’s so great, why don’t more people write them? The answer is simple: confusion. And how do you ensure that there’s demand for the ebook you want to write? Those are just two of many questions you might have. It’s a confusing process at first, but it gets a lot easier once you’ve done it a few times, trust me. Let’s go through five simple steps to writing your first awesome ebook, shall we? You could write your first ebook for the hell of it, but if you’re reading this, I’m guessing you probably want other people to read it, right? The key is to discover what people are looking for. What problems do they struggle with? What solutions are they searching for? I usually do this by noticing what blog posts resonate most with my readers. In the early days when I didn’t have an audience, I would look at forums, popular books, and other blogs. Your job is to see what questions people are asking. Amazon is a great place for taking a peek at what books are selling, and what content is in those books. You could even look at the reviews for what people like and don’t like. When you open your mind, getting ideas becomes easy. I outline obsessively, because it gives me focus. It lets me see if anything is missing, and it helps me look at what I’m creating from a big picture view. Your outline will change as you create your ebook, so don’t freak out if it happens. I know some can write without outlining, but I’m not like that. And if you’re just starting out, you should definitely outline. I like to outline as much as is humanly possible. I like to write down the chapters, sub-headings, and notes on what the sub-headings will contain, if possible. If not, I just leave it. If I don’t have this structure, I find myself worrying about if I’m missing something, or if I’m writing too much in one chapter, and not enough in another. In summary: outlining keeps me on track, and gives me focus. When I’ve got my outline in place, I start freewriting. It’s not exactly freewriting as it is defined by Wikipedia, but a more controlled form of it. Freewriting means writing without editing. It means getting everything from your head and onto a piece of white, shiny digital paper. When I’m doing the first round of writing, I do my best to get out of my own way, and not pay attention to how I’m wording things. My main focus is on getting everything out. This is how I write most of my articles. If you’re trying to edit while you’re writing, you’ll end up pulling your hair out. I think this is one of the main reasons why most people have trouble writing. The magic happens when you’re editing and rewriting, so don’t worry about getting it perfect right off the bat. In fact, I recommend you write, and wait 24 hours before editing. One of the reasons my writing has improved over the months is because I’ve started letting my articles simmer until I edit them. When you’re creating your ebook, it’s easy to keep adding, perfecting, and in general, never release what you’ve created to the world. That’s why I always have an outline, so I know when I’m done. If I find something I can add, that’s cool, but I never go overboard, because the outline should already contain the bulk of what I want to say. 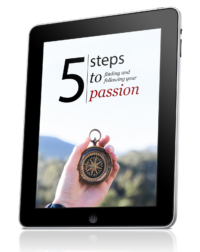 It’s really easy to fall into perfectionism, and delay releasing your ebook. You can always keep adding more if you want to, but you have to kill perfectionism, and get on with it, even if you think your ebook isn’t perfect. One solution is to outline your ebook well. Another is to stay aware of the ways you try to avoid putting your work out there. It’s scary, but the more you do it, the easier it becomes. I write my ebooks in Microsoft Word, and I convert my documents into PDF in Adobe Acrobat, which isn’t free, but no worries, there are great free options out there, such as Cute PDF. I personally think design matters, a lot, but in the beginning you might not want to spend a few hundred dollars on a nicely designed ebook, and that’s okay. However, there are cheaper alternatives out there. If you just need a simple ebook design, you can easily find someone to do an awesome cover for you + a few banners for under $100. If your ebook is going to be up for sale, or an e-mail sign-up incentive, it’s important to have something that looks great. If you want to do it yourself, then there are plenty of tutorials all over the web that you can search for. I’d rather spend my time doing what I do best, and pay someone like Charlie to take care of the design. What helps me get things done is that I don’t get caught up in worrying about stuff that I’m not good at. This doesn’t mean I don’t worry about it, because I do, but I keep going. For example, when writing my first ebook, I knew that it wasn’t going to be perfect. I accepted it, and created it anyway. It turned out fine, and I’ve gotten a lot of positive feedback, which just goes to show you that what you think is perfect, may not be what other people even want, or need. The good thing about writing an ebook is that it’s so easy to start. All you have to do is open a word document and start writing (and outlining, of course). When you’re done, you’ll figure the rest out. One step at a time, my friend. One step at a time. P.S. If you’d like to dive deeper, and learn how I write my ebooks, check out my book: How to Write Nonfiction Ebooks: A Proven 17-Step Guide. Just today, I’ve finished editing my book and after that, and the manifesto I wrote a couple of months ago, I can only say that I completely support everything that you said above. The one thing I always do when I’m writing something longer then an article, like a short story, manifesto, report, book, whatever, is that I take some time to focus completely on what I want to write about and I just write down all of the ideas that come to my mind about what I want to cover. I takes an hour or two, but after I’m done, I have detailed topics and usually, a story that unfolds perfectly through my notes. No need to organize or connect different pieces together after I’m done writing them out. Sounds like what I do. Good stuff! I often follow the same process when I’m writing longer articles as well. It really helps. I realize the focus of the post was about actually writing but I think another important step comes right after: the delivery platform. Of course, that can range from doing it by hand to one of the many digital download systems that exist. E-junkie is popular for content delivery. I like DPD, as well. Some people may even want to focus on making their book available via Amazon Kindle, the way Chris Guillebeau has. You can also make your book available for print with services like Lulu or Createspace. Don’t miss out on this step. Some people (like my dear mother) only want to read books they can put in their hands on. The deliver platform, and what comes after is another post in and of itself. I personally like to use e-junkie for the smaller products, and ClickBank for the larger ones. I really like ClickBank because they pay your affiliates, and basically take care of everything. The only downside is that they take a cut, but that’s cool. Hey Henri, i’m wondering if you use something to get things done faster. I’m on a Mac and i’m considering using apps like omnifocus, things or the hit list. Do you use any of those? Don’t know about Henri but when I’m on my mac I use WriteRoom to free myself from distractions when I’m ready to Freewrite. For mind mapping, I use FreeMind (I use it mostly because I can also use it on my PC). Hope that helps a little. I don’t actually use any programs or apps like that. I just open up Microsoft Word and start writing. I’ve found that it helps to turn off the internet, but it also helps being aware of my mind wanting to get distracted from doing important work. Whatever works for you though. If you think omnifocus will help then go for it! I don’t mindmap a lot, but when I do, I use FreeMind, like Jack. Yep, that is a great way to go about it! I’m doing great! Definitely avoid editing as much as possible if you’re just doing the draft. When you leave the editing for later, it’s much more fun as well. Helpful article henri. Have been trying to put a book together for God knows how long but i just get distracted in the way. I really can’t wait to get my ebook out there. Thanks for the guide. Congrats on breaking the 3k reader mark! Very impressive!! This is a great guide on writing an ebook, and as someone who has recently created and launched a massive ebook, I can tell you that it is a lot of work. I spent close to three months creating the product, and my advice is that you shouldn’t do the same. Not unless you have enough readers or a big enough list to mail it to, since about 1-2% of your subscribers become buyers. Yeah, it’s always better to begin with a smaller product, and if your readers love it, you can add more to it as time goes by. You could wait, but you could also do some research, and write one before that. Thanks, Steve! Henri, have you recently tried voice dictation software, like Dragon NaturallySpeaking? After watching that industry for about ten years, I really think it’s reached a point where its functionality and ease of use good enough even for those of us who don’t HAVE to use it. Dragon is my personal version of “freewriting”, and I think I’ll use it more and more as I become more comfortable with not editing as I go. Cheap too, I got my copy on Amazon for about $40USD. And everyone, if you take one piece of advice only from this article… make an outline. If you can get in that habit, your productivity will go way up. I’ve tried Dragon NaturallySpeaking, but I prefer writing. It’s a great piece of software though, and it keeps getting better every year! I prefer writing too, but for people who like to talk a lot 🙂 recording their ebook is a great option. Prepare an outline first and then speak about the subject and create a downloadable mp3. I really love those – don’t have much time to read ebooks anymore, but enjoy listening to recordings while driving or watching my son play at the local park. Oh yeah. I enjoy interviews and audio recording myself, but I prefer writing, although having someone record the audio for you is always an option! I’m planning to record a series of interviews in the health and nutrition niche soon. I have a very brief list of experts I want to interview (this is a very specific topic, and I know of very few people who are knowledgeable in that area) – I just hope I can convince at least a few of them to my idea 🙂 Otherwise, I will have to do it the old fashioned way (i.e. write an ebook). I’m in the process of making my first eBook as well. There’s so much information that I want to include in the finished piece that it’s really been eating up hours of my day. By the time I’m done, it will probably be around 50 pages. I’m writing my eBook on how to build an online freelance writing career, with assignments of sorts after each section. I’m hoping that it turns out alright, and I’m pretty excited about getting it launched. Like you, I also obsessively outline. It makes writing an article or blog post so much easier. That’s what I did with my eBook as well. It also keeps you focused on what you should be writing about, and you’re less likely to ramble about things unrelated to the headline. Moreover, it’s less stressful. I find it easier to write the eBook knowing how many more sections I need to write or what percent I’m at now until the eBook is done, just going by the remaining sections left. It’s also pretty cool having the table of contents all done before you even begin writing. Freewriting also does help. I just finished doing that with my eBook, and, I must say, it’s hard to keep track of the time while you’re freewriting. I just get so into what I’m writing about as I express my thoughts without stopping to edit. I used to stop and edit my writing a lot in the past, and it definitely eats up time. However, even though I loved the freewriting portion of writing the eBook, I still have massive chunks of words that need to be edited, so just thinking about the work that needs to be done can hold me back. It will probably take me many more hours.. or days.. to get the editing portion done, but once it is done, the rest of my work will be relatively small. One thing I’m worried about is design though. I have no clue how I’m going to fund it or how much it will cost me. I suppose I’ll find a good solution once I get the eBook written up. Anyway, wish me luck! Fabulous guide. There are plenty of great designers out there that can make a very simple design for you. I’m thinking of the people in the Philippines and so on. The ebook I’m working on right now, I wrote 2,000 words for it per day, which was 2 chapters, and now I’m editing 2 chapters a day, so I try to keep it in chunks. My process was to outline, freewrite, and edit. After the editing, I’ll probably go through all the chapters another time but not as thoroughly. I find that the more I edit, the better my writing gets, because I always come up with something nifty to add (or remove) when I’ve waited another 24 hours.